LASER members traveled to St. Louis on December 28th to give presentations on Safety and Chairman's to teams around Missouri, including rookie teams. LASER members also sat in on other presentations including pneumatics, coding, and marketing. On the 21st of December, LASER held their annual Holiday Party! LASER uses the party to hold team bonding activities, goal setting and to have lots of fun before build season. The team went out to play 'laser' tag, where they split into 3 teams and strategized about how to win. LASER also set team goals for the season, which included having motion profiling with vision and senior mentoring the underclassmen. LASER members underwent the teams annual CPR Training on December 11th. As part of LASER's safety program, every member on LASER 3284 is CPR certified to help promote safety at home and school. LASER members were taught how to do chest compression's, mouth-to-mouth breathing, and how to use an AED. LASER members were then tested on their ability by going through all the nesscary steps and procedures for CPR. On December 8th, LASER FTC® and FRC® teams hosted the 2nd annual central Missouri FLL® Championship. 36 teams from all over central Missouri competed and all teams did a fantastic job of showing Gracious Professionalism and Cooperation. LASER members had a great time hosting the event and meeting all of the teams. On November 17th, LASER members volunteered at the 2nd annual Rolla FLL® Qualifier. 13 of the 29 teams competing at the event were LASER FLL® ​ teams, 5 of which qualified to the State Championships on December 8th. Team 563, the Intelligent Earthlings, won the Research Award, Team 566, the Astro Bots, won the mechanical design award, Team 559, the Cosmic Brainz, won the inspiration award, Team 570, NASA: NERDY AWESOME SPACE ASTRONAUTS, won the teamwork award and Team 567, the Comet Crew, won the robot performance award and 2nd runner up champions award. Great Job to all of the teams that competed! As the Central Missouri FIRST® ​affiliate, members from LASER volunteered at the 2nd annual FLL® Nixa Qualifier on November 10th. LASER members helped out in any area that was needed, from robot queuing, to field reset. 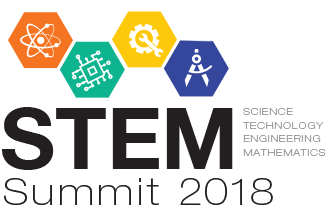 On Tuesday, November 6th, from 1:50-2:40 PM, LASER gave a presentation for STEM Summit in Kansas City. LASER Members ​demonstrated how the teams are made up of diverse students that create a business plan, secure sponsors and develop a code of ethics to operate. On October 26 and 27th, LASER traveled to Lee's Summit Missouri to compete at the 10th annual CowTown ThrowDown. LASER competed with 49 other teams where they made it to semi-finals. Held at Camdenton Middle School on Saturday October 13th, KC STEM and two team members from LASER taught teams from Camdenton and School of the Osage how to program. Students were taught the basics and beyond of MIT App Inventor. LASER's FTC® and FRC® progressions walked in the annual Homecoming parade on October 5th. 3284's robot was displayed while walking in event, along with part of the FTC field for this year's game. On September 29th, LASER attended the 5th annual Gateway Robotics Competition on the Lindenwood campus in St Louis, where 30 teams competed. 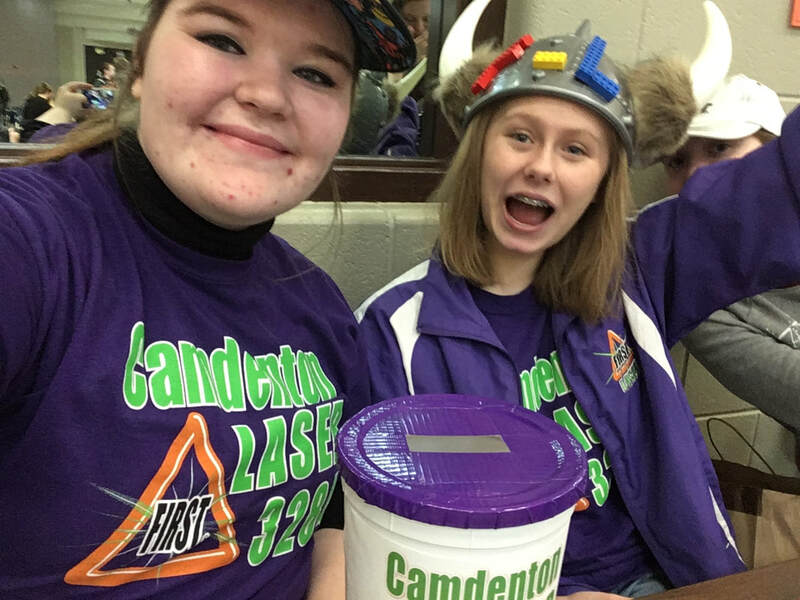 LASER was the 4th alliance captain and with the help of 931 Perpetual Chaos and the Lutheran Robotics B team,the alliance made it to semi-finals. Central Missouri GO baby go! In collaboration with sponsor Lake Regional Hospital, LASER hosted a Central Missouri Go Baby Go! event on September 22nd. It provided sixteen electric cars for children with disabilities allowing them to be independently mobile for the first time. Four other FRC teams assisted in the making of the cars, Knob Noster Stealth Panther 6424, Sedalia Team SCREAM 4522, St. Charles Lutheran Roboteers 4329, and The Barstow ​KUHNIGITS 1939. 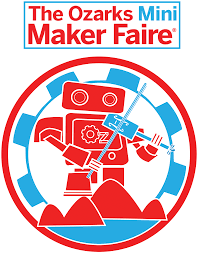 Join LASER and other Central MO region FIRST® teams on August 25th from 10 am to 4 pm, at the 4th annual Ozark Mini Maker Fair at the Bass Pro White River Conference Center! 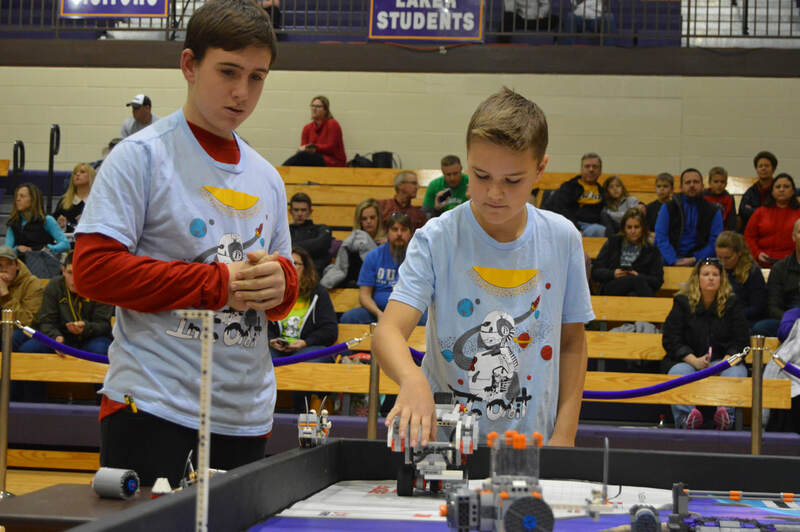 Teams from Missouri showcased the four progressions of FIRST®: FLL Jr®, FLL®, FTC® and FRC®. 10th Annual Show Me Robots! The CocoNuts 2186, contacted LASER 3284 and asked the team to host Chairman's Exchange at the three regionals that the team was attending during the Power Up season. We were honored to share what we have learned and to learn from other amazing FIRST® teams! 269 DARE Blvd. Camdenton, MO. LASER 3284 is sponsoring an FLL JR.® Coaches Clinic on June 20th, 2018. 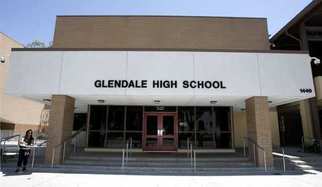 The clinic will be held from 9am-3pm at Osage Beach Elementary. The purpose of the clinic is to give motivated individuals information on how to register teams and give them the opportunity to converse with experienced coaches. LASER is sponsoring a week-long FTC® summer camp! The camp will be held from June 4th-8th from 8-5PM at Camdenton High School. The goal of the camp is to allow students to improve their programming and design skills. 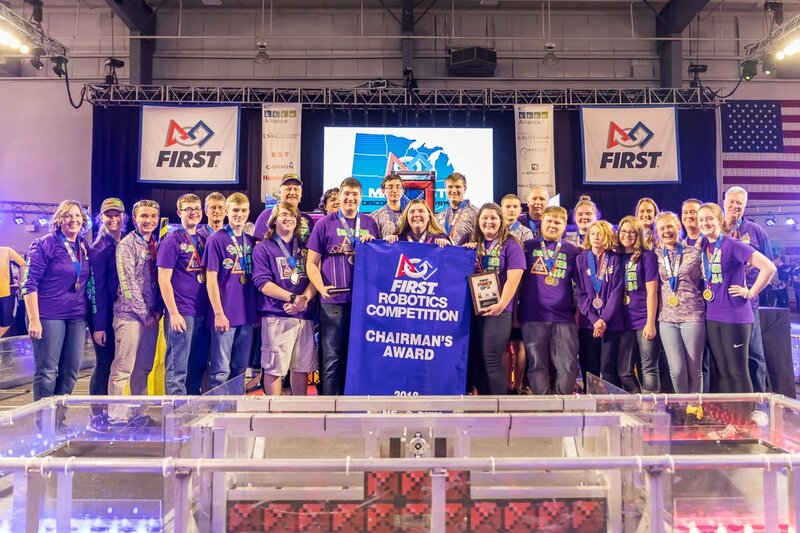 APRIL IS FIRST® ROBOTICS MONTH! in a ceremony that included State Representatives Diane Franklin and Rocky Miller. On April 17th through the 21st, LASER traveled to and attended the FRC® World Championship in Houston, Texas, where 408 teams attended from six continents. LASER was in the Hopper division and was selected by the 2nd alliance, where they made it to quarterfinals. For the second year in a row, LASER won the Safety Award sponsored by Underwriters Laboratories​. On April 7th, Camdenton LASER held the 4th annual Central MO FLL Jr.® expo. Central Missouri's FLL Jr.® teams showcased their knowledge and shared their 'Aqua Adventure' research and models. The event took place at Osage Beach Elementary from 9 am to 1 pm. On March 28th-31st, LASER 3284 headed to the Sooner State to compete at the Oklahoma Regional for the second year in a row. The competition was held at the Cox Convention Center, where 62 teams competed from 5 states and 2 countries. LASER was picked for the 8th alliance where they made it quarter finals and lost to the eventual champions. ​March 14th-17th LASER competed at the Greater Kansas City Regional. Forty two FRC® teams from 4 different states competed at the Regional. The event was held at Metropolitan Community College. LASER placed 13th, and was on the 7th alliance. The alliance was strategic and made it to finals and fell to the champions. LASER was honored with the most prestigious award FIRST gives - The Chairman's Award. The team will travel to Houston in April to compete at the Championship. ​On March 7th-10th LASER’s FRC® team competed at the St. Louis Regional. The Regional was located at Chaifetz Arena, and 46 FRC® teams, from 4 states competed at the event. LASER placed 11th and was on the 6th alliance. LASER made made it to Semi-Finals, and won the Excellence in Engineering Award and the UL ​Safety Award sponsored by Underwriters Laboratories. "Providing hope and resources for those without life's essentials." ​On March 5th, LASER assisted in the Feed The Children Event in the maintenance building by making food packs to provide for the less fortunate. On March 2nd, LASER's own National Afterschool Alliance Youth Ambassador, Maya Irvine, gave a speech to advocate for afterschool and received a Certificate of Recognition to recognize her contributions as an Ambassador for Afterschool Programs throughout Missouri. On March 1st from 8 am to 3 pm, all four of LASER's progressions went to showcase their work for STEM day at the capital in Jefferson City, Missouri. The students worked with Missouri Legislators to discuss future plans for STEM. LASER FTC® team 5905 was seeded 1st in the western division. They competed at the Missouri State Championship at Missouri S&T. On February 23rd, LASER's annual hat day was held district wide. LASER members from each progression in the district lead their building in the event. In all, $400 was raised for STEM related games and books for the new pediatric center at Lake Regional Hospital. February 9th, LASER FTC® teams competed in the Western Conference Qualifier located in Blue Springs, Missouri. 24 FTC® teams will be competing and 7 FTC® teams will advance to the Missouri Championship. The Qualifier will last from approximately 7:30 AM- 6:00 PM and is open to the public. 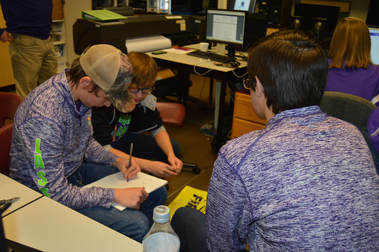 ​On January 27th, Camdenton Middle Schools' three FTC® teams traveled to compete at the Glendale Qualifier. The teams were ecstatic for the competition, and their enthusiasm payed off. 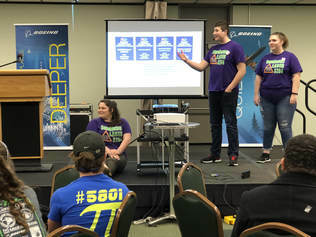 Team 5906 won the 3rd place Motivate, 3rd place Rockwell Collins, and the Connect Award. Also, Team 5907, were finalists at the event. LASER started the beginning of the six week build season by discussing strategy and brainstorming. The team members and coaches are eager for 2018's new game, Power Up!